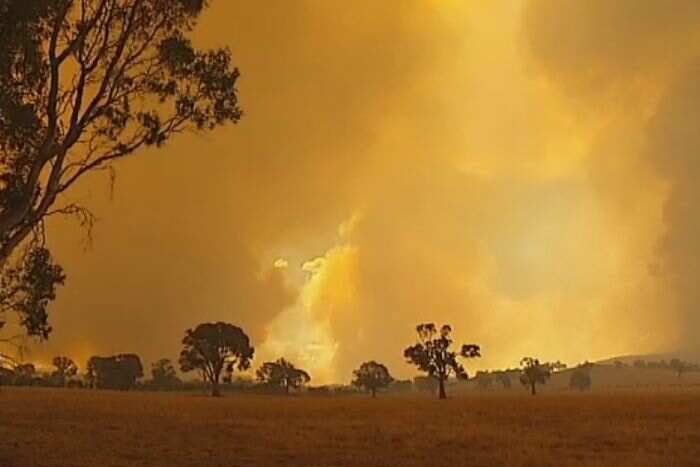 The fires formerly known as Burnt Hut Track, Clutterbucks Road and Jensens Road have joined together and are now being called the Victoria Valley Complex. The size of the fire is approximately 12,000 hectares. Southerly winds overnight and throughout the day have pushed the fire across the Victoria Range. Some spotting may be occurring. Planned burns completed last autumn along the Harrop Track within the Grampians National Park are expected to assist with controlling the spread of the fire to the west. All areas of the Victoria Valley and Victoria Range Areas are CLOSED – Parks Victoria are advising visitors to the Grampians National Park that the Victoria Valley (area South of Mount Victory Road) and Victoria Range (West of the Serra Range) are closed. The Grampians Tourist Road has been REOPENED. At intersection of Victoria Valley Road and Bundol Road. This intersection is manned by Police. This entry was posted in Grampians, Parks Victoria updates & info and tagged Bushfires, closures, grampians, parks victoria, reopenings, THE GALLERY by Tracey. Bookmark the permalink.